In 2017, the Alter-Ciné Foundation received 80 documentary submissions from 35 countries. 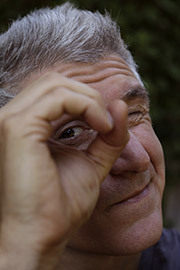 A $10,000 award was granted to the Argentinian filmmaker Dario Doria for his project Vicenta. Vicenta, poor and illiterate, lives in a Buenos Aires suburb together with her intellectually disabled daughter Laura. When Laura is raped and finds herself pregnant, Vicenta applies to have the pregnancy terminated according to Argentine law. However, a judge, Catholic and of strict morality, blocks the procedure. The case gets national media coverage and a heated debate ensues. Several years later, acting on Vicentas complaint, the UN Human Rights Commission censures Argentina for violating Lauras rights. Phuong Thao TRAN, recipient of a 10,000$ Alter-Ciné Foundation grant. Another $10,000 award was granted to the Vietnamese filmmaker Phuong Thao TRAN for her project Adieu Pomelo. Two workers from the countryside are hired on to the crew to demolish a modest Hanoi neighbourhood in order to build a new expressway. In the face of the local mafia and a sleazebag boss, our « heroes » decide to approach their hellish task as an absurd comedy. They pend a year working day and night to make enough money to celebrate the lunar New Year. 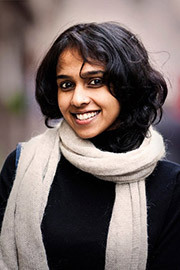 Arya Rothe, recipient of a 5,000$ Alter-Ciné Foundation grant. A $5,000 grant was awarded to an Indian filmmaker, Arya Rothe, for her project A Rifle and a Bag. Fifteen families that abandoned the Naxalite movement under the Government's Surrender Policy built a village at the edge of the jungle. Couples formed in the Naxalites arranged marriage system, former Maoist leaders, women commando chiefs, and rebels who joined young, now share the same settlement, attempting to reintegrate as civilians. However, their aspirations to social esteem are shielded by the communitys unease towards their bloody past. Ironically, for many, an option is to join the police force because they make valuable informants. Some are seeking to reconnect with their families, but shame deters them. Others are in a limbo of odd jobs while waiting for the policy pledges to be implemented. As their initial optimism is eroding, their sense of identity is also being challenged. 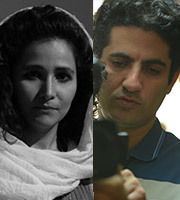 Atieh Attarzadeh Firozabad and Hesam Eslami, recipients of a 5,000$ Alter-Ciné Foundation grant. Atieh Attarzadeh Firozabad and Hesam Eslami, Iranian filmmakers received a $5,000 award for their project Staring at the Sun. A charitable institute has been hosting more than 500 chronic mental patients for almost 20 years near Tehran. Habitants of the center have no hope of living on the outside, for their severe mental condition or lack of family able to take care of them. Due to strict rules of such institutions regarding gender separation, any sexual relations amongst patients is banned. In such atmosphere, a donor approves providing marital facilities for seven couples amongst the patients. Whispers of the decision changed the ordinary life of the patients. How this decision would challenge the living of men and women who have been segregated from one another since they entered the institution? Who are the selected couples? How the system makes them ready for marriage and supports them after that? What are the couples human rights while they have no legal right to choose? Valentina Llorens, recipient of a 5,000$ Alter-Ciné Foundation grant. A $5,000 grant was awarded to an Argentinian filmmaker, Valentina Llorens, for her project La casa de Argüello (The Argüello House). Human bones are discovered; they belong to someone who was disappeared by the Argentinian military dictatorship in the 1970. They turn out to be the remains of Sebastian, the uncle of the films director. The pain that wells up with the discovery is told by four generations of women: Grandma Nelly, who lost two sons; Fatima, long-time political prisoner; Valentina, Fatimas daughter born in prison and distanced from her mother; and Frida, Valentinas daughter who was five at the time of the gruesome discovery and then thrown into the soul-wrenching return of history that shakes up the family.